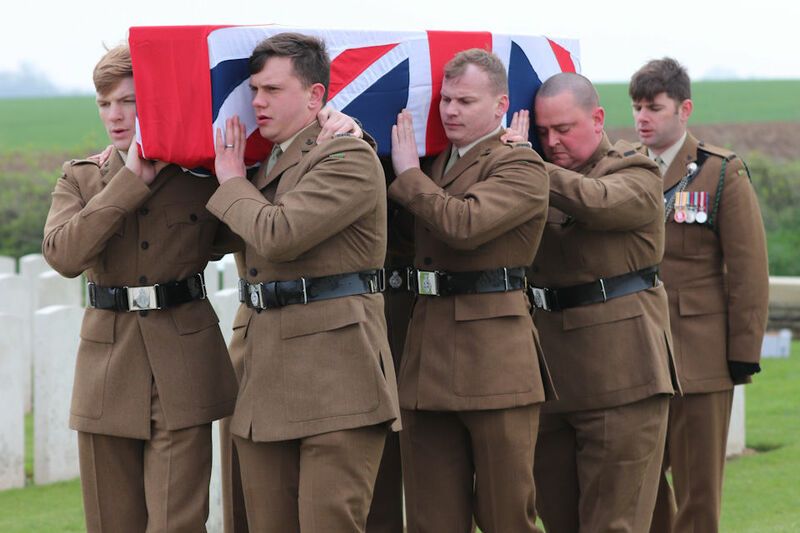 Private (Pte) Arthur Burt who served with the Duke of Cornwall’s Light Infantry, has finally been laid to rest after he was killed during World War 1. 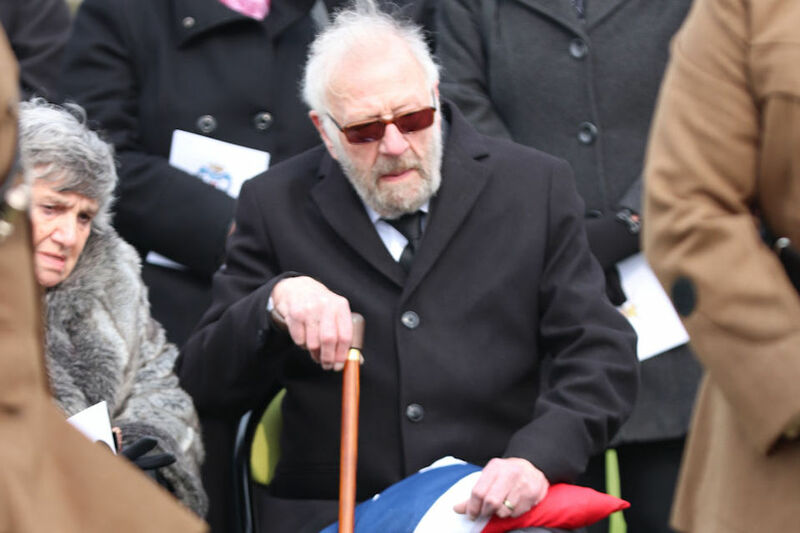 Private Burt was buried last week (Wednesday 10 April) during a moving ceremony at the Commonwealth War Graves Commission (CWGC) Guards’ Cemetery, Lesboeufs, on the Somme in France. The service, organised by the MOD’s Joint Casualty and Compassionate Centre (JCCC), part of Defence Business Services, was conducted by the Reverend Richard Begg CF, Chaplain to the 3rd Battalion, The Rifles. Being able to discover the identity of an unknown soldier is hugely rewarding and I feel privileged to be here to see him finally laid to rest by members of the present-day regiment. His bravery and sacrifice will always be honoured and remembered. Pte Burt was killed on 16 September 1916, during the Battle of Flers-Courcelette, which was part of the Battle of the Somme. 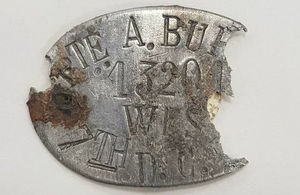 He was found with several artefacts including a disc that was engraved with “Pte. A. Burt, 13201, 7th D.C.L.I.”. Following this discovery, the JCCC were then able to trace the nephew of Pte Burt, Mr Philip Lean, who provided a DNA sample which confirmed the identity of Pte Burt after more than a century. Mr Lean and 8 members of his family were able to attend the burial to pay their respects. Brigadier Rob Thomson from the British Embassy in Paris was also in attendance. 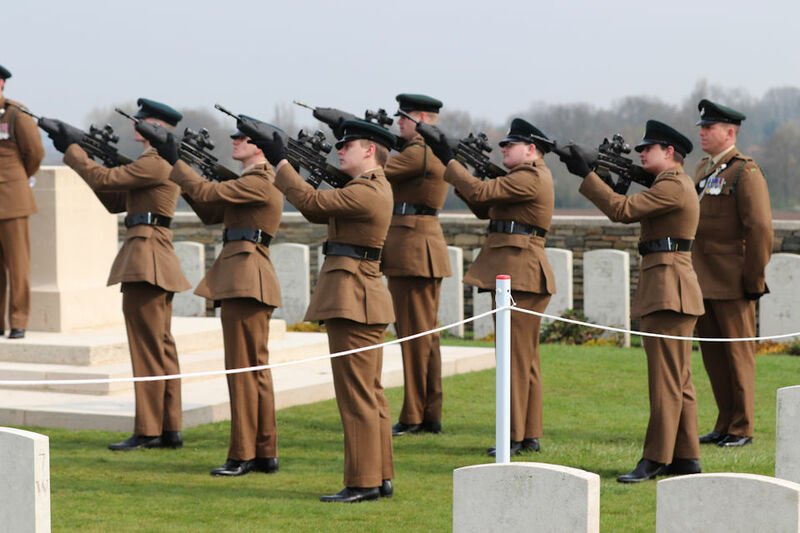 Current members of the Rifles paid their own tribute by providing the bearer and firing party. Our lad from Mevagissey was afforded an amazing military send off. Being able to be there as a family was really special and it was a privilege to attend. Private Burt enlisted in the army as soon as war broke out in September 1914, aged 27. He signed up at the Keep in Bodmin, which had been the Duke of Cornwall’s Light Infantry headquarters since the 1880s. Arthur joined the 7th Battalion and was soon sent to France after receiving his training. He was praised for his gallant and brave conduct during the attack on Guillemont on 31 August 1916 and was recommended for the Military Medal. 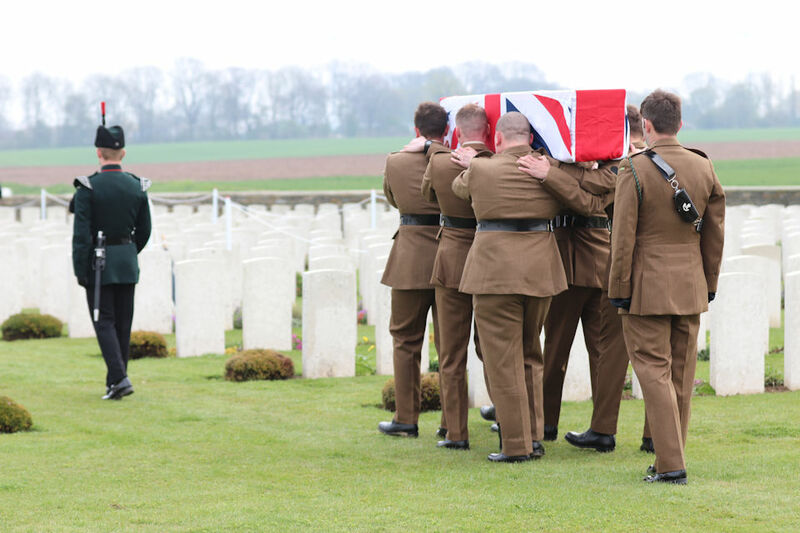 It was an honour to conduct the graveside service of Pte Arthur Burt in the Guards’ Cemetery, Lesboeufs. After nearly 103 years, since he fell on the Somme, we were able to continue a work started by the Chaplains who served in World War 1, the devotion and dignity to the care of those who served and those who gave the ultimate sacrifice in service of their country. It was a great honour to be able to recover Private Burt from the battlefield near Ginchy in 2018, over 100 years since his death. He is now at rest alongside 8 other casualties of his battalion who died at the same time. We will ensure that his grave, together with all of those who served and fell, is cared for in perpetuity. 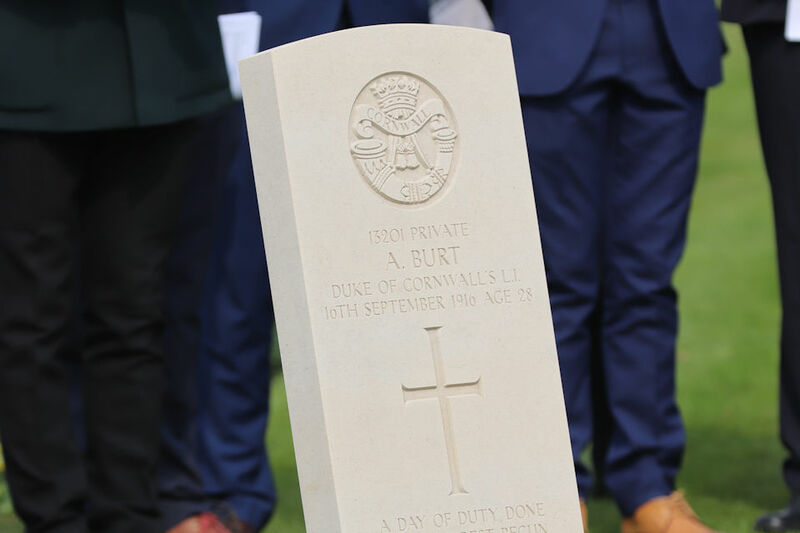 A new headstone bearing Private Burt’s name has been provided by the CWGC, who will now care for his final resting place in perpetuity.